This is an easy sauce to put together, and you probably already have the ingredients in your pantry. Feel free to use pineapple or peach preserves in place of the apricot preserves. 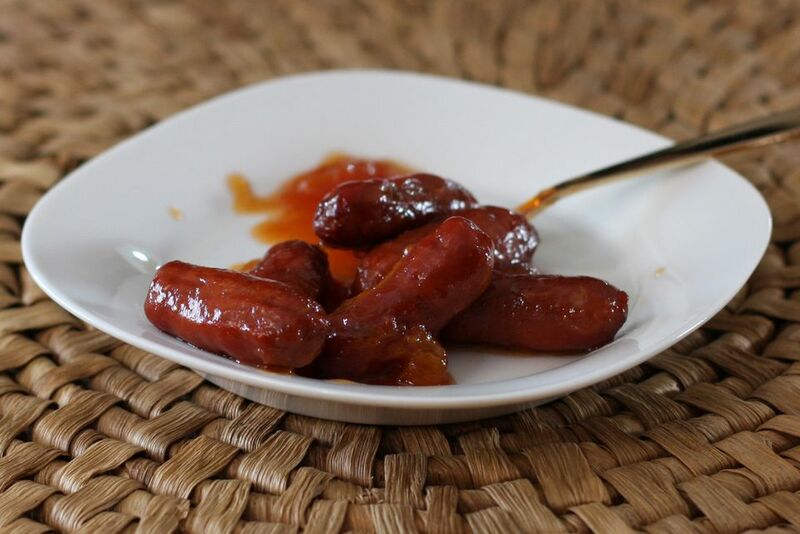 In the slow cooker insert, stir together the ketchup, seasonings, preserves, brown sugar, and vinegar. Add the little smokies; cover and cook on LOW for 3 to 4 hours. Provide napkins, plates, and toothpicks, and serve hot from the slow cooker.